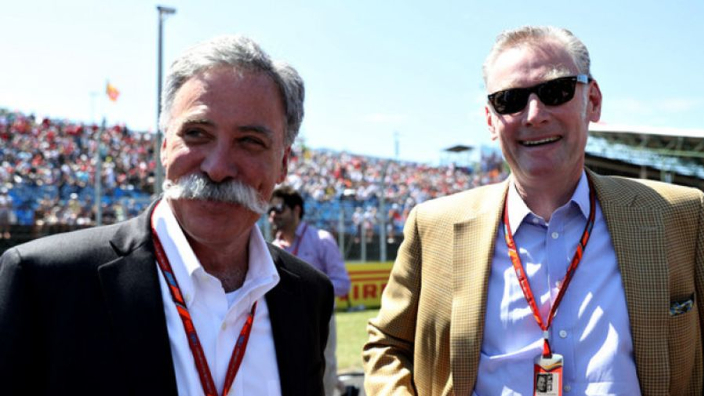 Chase Carey insists Formula 1 will conduct their new betting sponsorship deal "in a healthy way" after a backlash from fans. F1 announced a $100million deal with Interregional Sports Group earlier this year, which will see in-play betting promoted with the use of live data. Former owner Bernie Ecclestone was a long-time opponent of betting sponsorship and F1 having any kind of relationship, believing it could damage the brand worldwide. But marketing agency ISG have reached an agreement with Liberty and it is understood that they will pay the full $100m amount up front, with ISG then tasked with securing deals with betting companies on a local or global basis. Carey says the deal will only add to the excitement of races, at a time where sports betting is under the microscope in several countries across the world. "I think with betting obviously we have responsibilities that go with it," he said. "We want to make sure it's done in a healthy way, we want to make sure it's done with proper integrity tools around it. "But I think it's clear that fans enjoy it, I think it makes it more interesting, it makes it more exciting. "It's both a sponsorship element and providing a more expanded an interesting set of opportunities to engage with the sport and bet on things that may not be available." "People can obviously bet on the sport today, so betting on the sport is not new, but I think we can provide new and interesting ways. "I think we have to make sure we have integrity and disciplines around to make sure that with anything one bets on there is proper oversight, and it's properly policed and maintained."